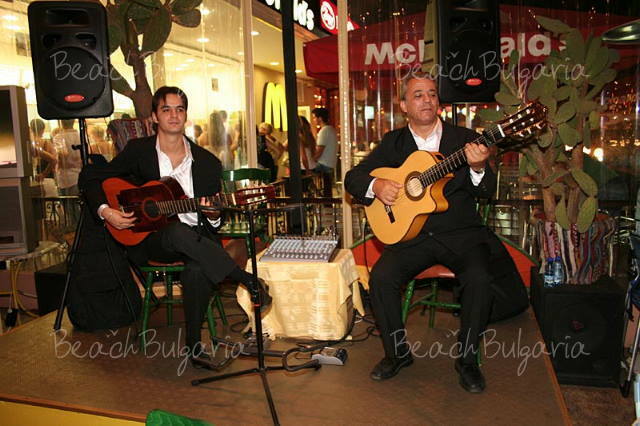 The one and only authentic Mexican restaurant is located in the very centre of Sunny Beach. One of the main attractions of Flower Street that nobody has to miss! 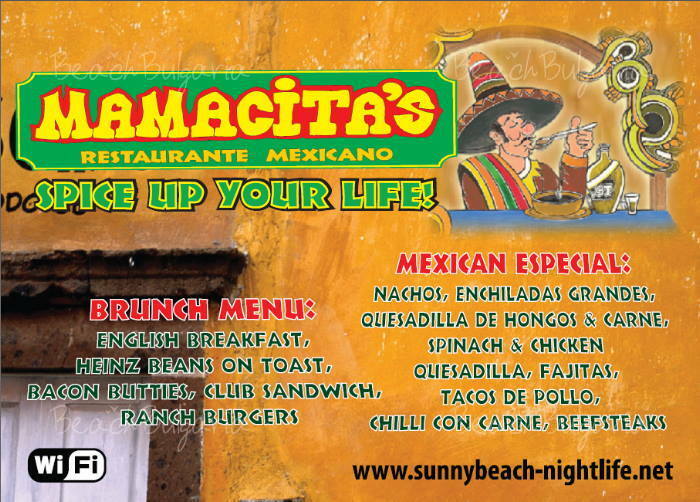 We offer traditional Mexican Especial (nachos, enchiladas, quesadilla, fajitas, tacos de pollo, chili con carne). 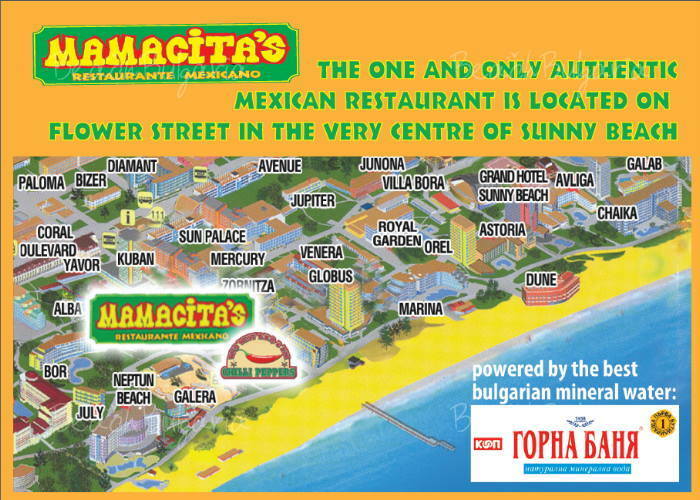 The one and only authentic Mexican restaurant is located in the very centre of Sunny Beach. One of the main attractions of Flower Street that nobody has to miss! We offer traditional Mexican Especial (nachos, enchiladas, quesadilla, fajitas, tacos de pollo, chili con carne), but not only that! 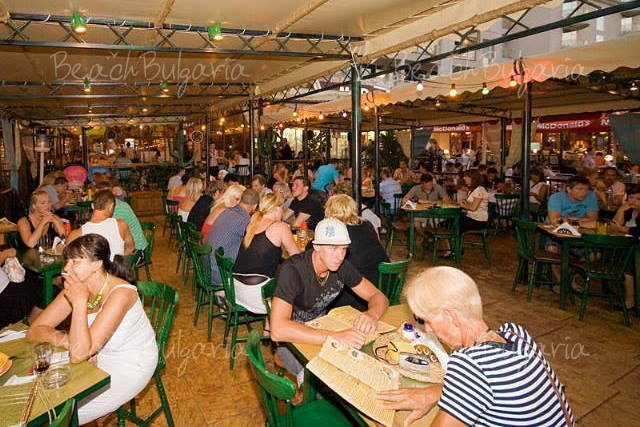 Plus everything that a Sunny Beach restaurant has to offer: brunch menu (English breakfast, beans on toast, bacon butties, club sandwiches, ranch burgers) and mouth-watering BBQ dishes. You can enjoy all this in a picturesque and cosy atmosphere spiced up by live vocal and guitar show. 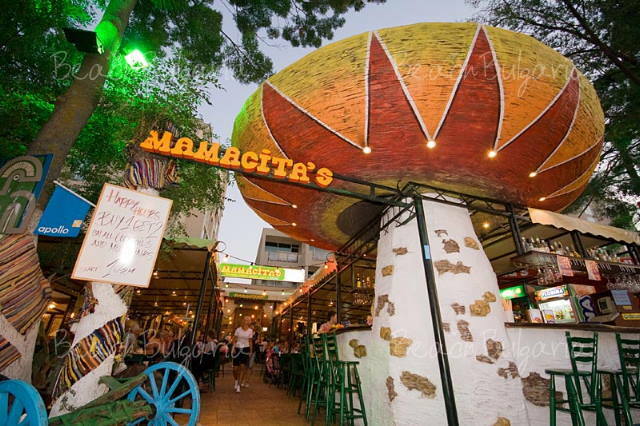 Please, post a comment on Mamacita's restaurant in Sunny Beach.